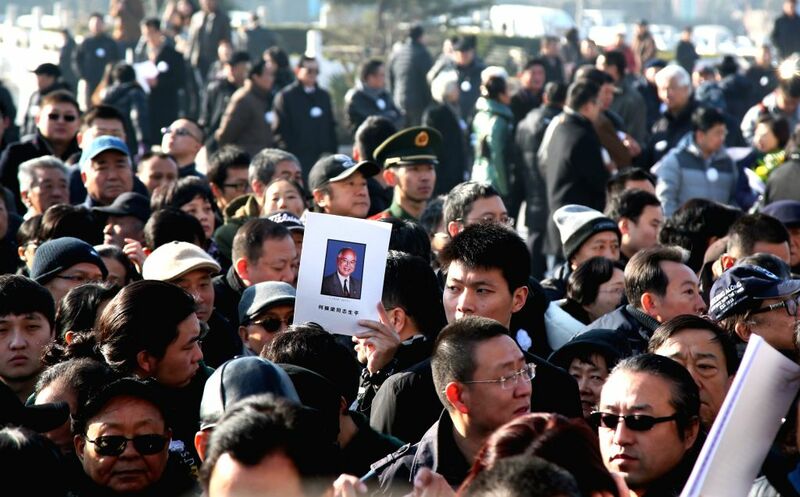 BEIJING, JAN. 10, 2015 - People attend a farewell ceremony for He Zhengliang, former International Olympic Committee (IOC) member and vice president, at Babaoshan Revolutionary Cemetery in Beijing, capital of China, Jan. 10, 2015. He, who was also the honorary president of the Chinese Olympic Committee, died of illness at a hospital in Beijing on Jan. 4, aged 85. 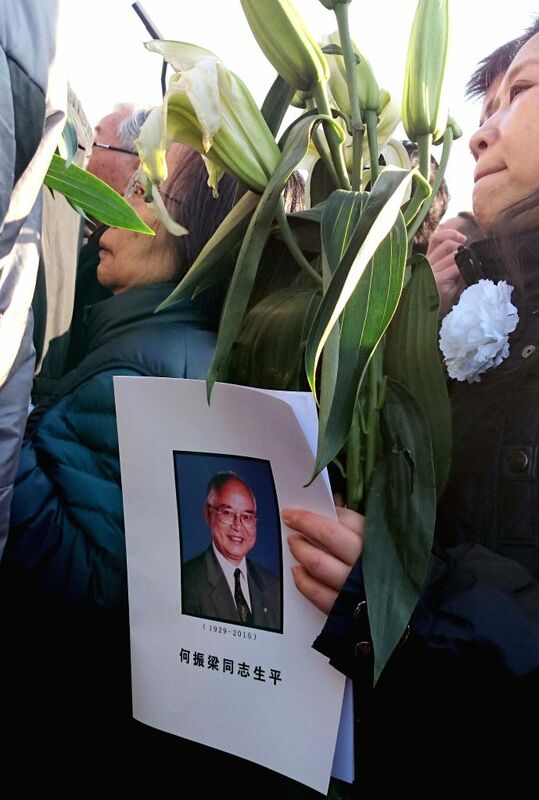 A woman holds the picture of He Zhenliang, former International Olympic Committee (IOC) member and vice president, during a farewell ceremony for He Zhengliang at Babaoshan Revolutionary Cemetery in Beijing, capital of China, Jan. 10, 2015.